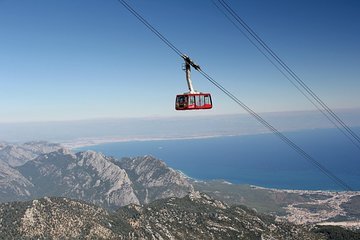 Treat yourself to sky-high panoramic views during this scenic cable-car ride up Tahtali Mountain, with pre-booked tickets and hotel pickup. Settle back and relax in a comfortable bus as you’re whisked to the base of the mountain. Enjoy mesmerizing views of pine-covered hills and the sparkling Mediterranean coastline as you head to the summit. Enjoy free time to browse souvenir shops or grab a bite at an on-site restaurant.